Manchurian is a tastiest yummy Chinese dish which everyone like.I give you a simple and easiest method to make this tasty Manchurian.Hope u like the method which i gives to you. Firstly,combine all these ingredients in a bowl and mix it properly and take the essence of water. Make a round shape balls of the mixture by using your hands. After making a round shape balls,take a pan and add a oil in a pan,deep fry balls until they become golden brown.Drain on a tissue paper or absorbent paper and keep aside. Take a pan ,add a oil in a pan and heat it on high flame. Add chopped onion,capsicum,garlic,grated ginger and fry it over a high flame for 3 mins. Now mix salt,pepper,soya sauce,green chilli sauce,tomato sauce,water and cornflour and keep it till then, unless it should be condensed. Before serving put a balls and gravy in a bowl and garnish it with a finely chopped coriander. 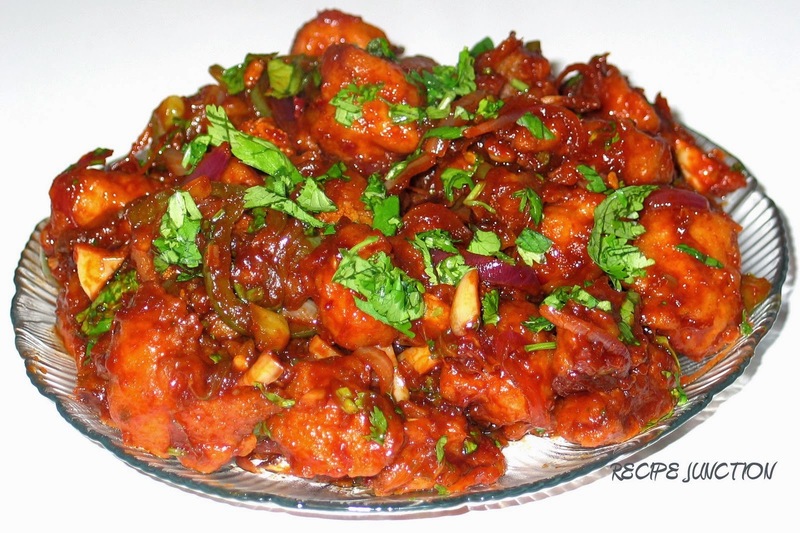 Serve hot Manchurian with sauce.